← Do you know what The Green Party position is on an EU referendum? This morning I have awoken to the news that Tony Benn, the long-standing Labour politician, has died aged 88. Tony Benn was, and remains, an inspiration for me in many ways. His commitment to radical grass-roots politics inspired much of what I believe today. It is this belief, that was instilled into me by Tony Benn, that still pumps through me. But, on hearing the news of his death, it wasn’t his politics that jumped to mind. My first thought on hearing the news of his death was how on earth are commentators going to find the words that will do justice to a man who was perhaps the ultimate orator. His turn of phrase, his wit, and his charisma remain unmatched in politics. His words will live on and will remain as a testimony to his life. I will, the Labour movement will, and many more from across the political spectrum will dearly miss him. 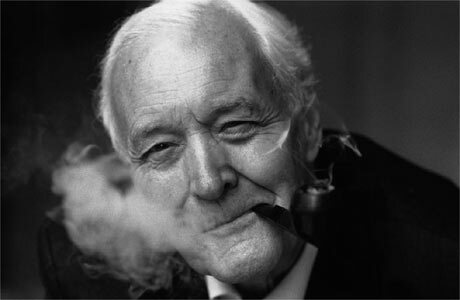 Tony Benn is the only person I have allowed to smoke a pipe in my church. RIP. Great man. Sad to hear Tony Benn has died. Passionate & powerful speaker, lively mind, generous friend who gave so much time to so many people. Shakespeare wrote "no legacy is so rich as honesty". Tony Benn left an entire country wealthier with truth. No sadness here. Just gratitude. Tony Benn was a magnificent writer, speaker and campaigner. There was never a dull moment listening to him, even if you disagreed with him. The thing about Tony Benn is he believed so hard in power of politics to change things, & in importance of ideas, he made you believe too. Tony Benn was the greatest orator I have ever seen and many of his ideas re accountability and democracy are at least as potent now. Britain is poorer without Tony Benn: democrat, patriot, heir to our indigenous radical tradition. How small his successors seem by contrast. RIP Tony Benn. That rare breed of politician, who never clambered aboard a bandwagon in his life. Ah Tony B! Thrilled, entertained, maddened, infuriated, amazed and inspired me at various times. And finally makes me weep. Goodbye dear Tony Benn. You never stopped fighting for the people at the bottom of the heap, and you will not be forgotten. Rest in peace Tony Benn. Turned his back on privilege to try to make Britain more equal for all of its people. A great man. Tony Benn died on anniversary of the death of Karl Marx (14 March 1883). As Dan Hannan said, “How small his successors seem”. It’s a shame that there was only ever one of him, and a tragedy that there are now none at all. Reblogged this on Dan Bunting – A Life in the Bus Lane.